Rookie goaltender Justin Blanchette was given the start against the Rouyn-Noranda Huskies. In the first forty minutes the young rookie played through a difficult match-up against the defending President’s Cup Champions making 12/16 saves. In the third period Stefano Cantali stopped 3/6 shots as the Huskies handed the Phoenix a 7-1 loss in their final preseason game. Rouyn-Norando flexed their muscles against the Phoenix jumping to a 4-0 lead in the first forty minutes. 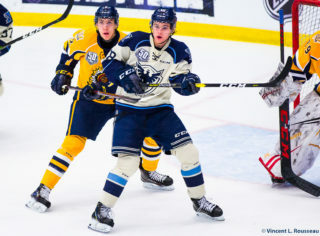 The Huskies first four goals came from Peter Abbandonato and Mathieu Boucher, who scored three goals for a hat-trick. Sherbrooke did crack the score sheet when they got on the board with a power play goal 0:33 into the third period. 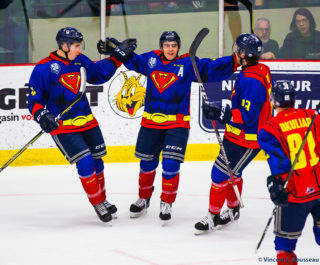 Yaroslav Alexeyev scored his fourth goal of the preseason, with the assists coming from Julien Pelletier and Anderson MacDonald to make it 4-1 on the special teams goal. The Huskies then added three more goals onto their lead to close out the game in the third period, with goals from Yan Doggett, Tyler Hniman and Brandon Tracey. Huskies goalie Samuel Harvey stopped 33/34 shots for Rouyn-Noranda playing the whole game. 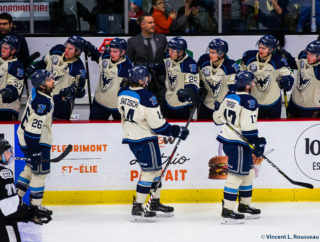 Sherbrooke will next open their season against the Huskies and Val-d’Or Foreurs next weekend with back to back road games Friday and Saturday. 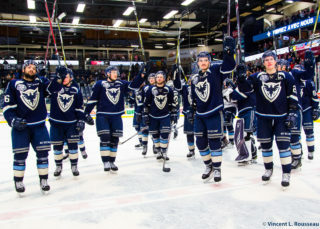 After the road trip the Phoenix return home for their home opener at the Palais des Sports the following week against Rouyn-Noranda, Friday September 30th at 7 pm.